We care about the health of all our members, both the young and the young at heart. 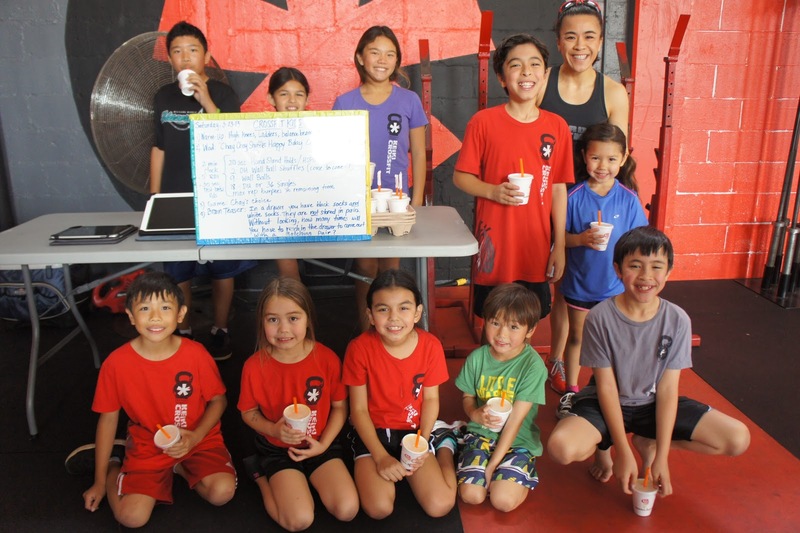 We think it’s especially important to get our keiki to think about their health early on and implement a healthy lifestyle into their everyday routine. 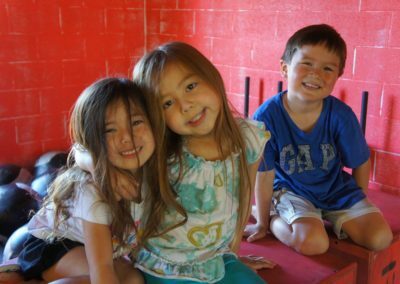 We invite you to bring your keiki in for a FREE introductory class and teach them that staying healthy and keeping in shape can also mean having fun! 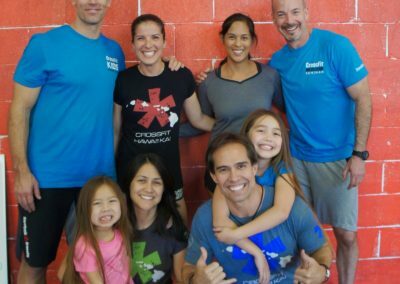 Attention all keikis! 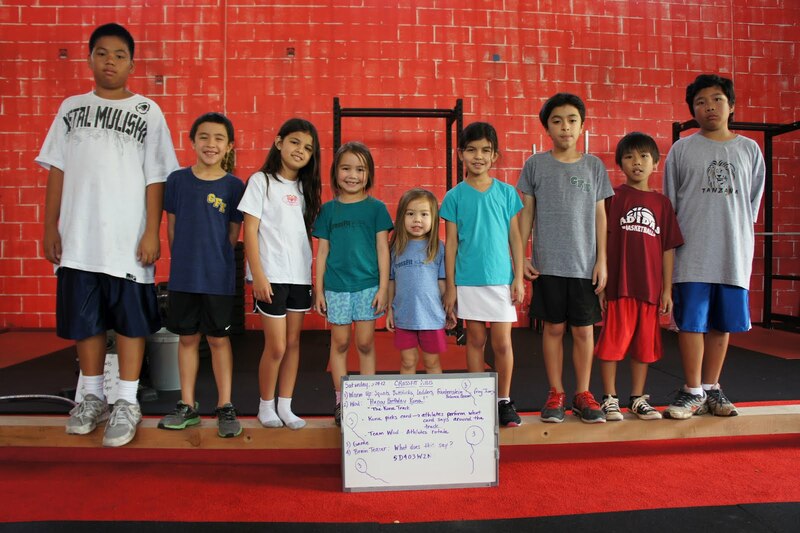 Keiki CrossFit is held at our Kaka’ako location every Tuesday at 5:00-5:30pm and Saturday at 11:00a-12:00p. 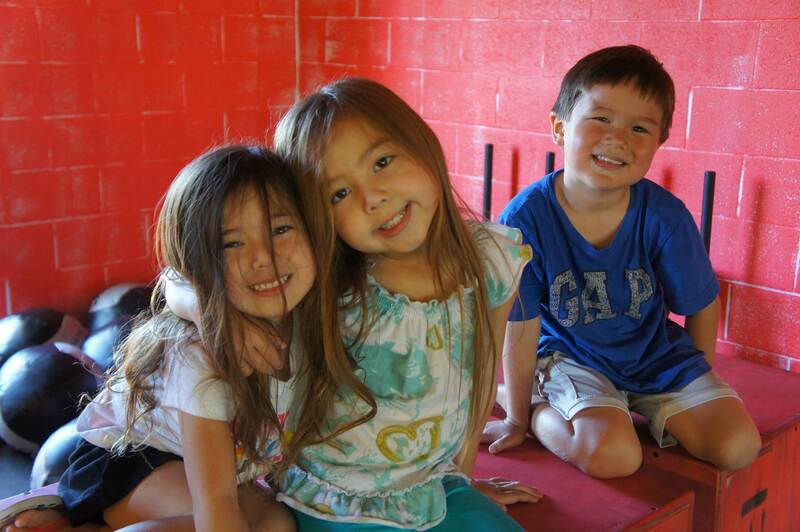 We welcome all children, so tell your friends and tell your friend’s friends! 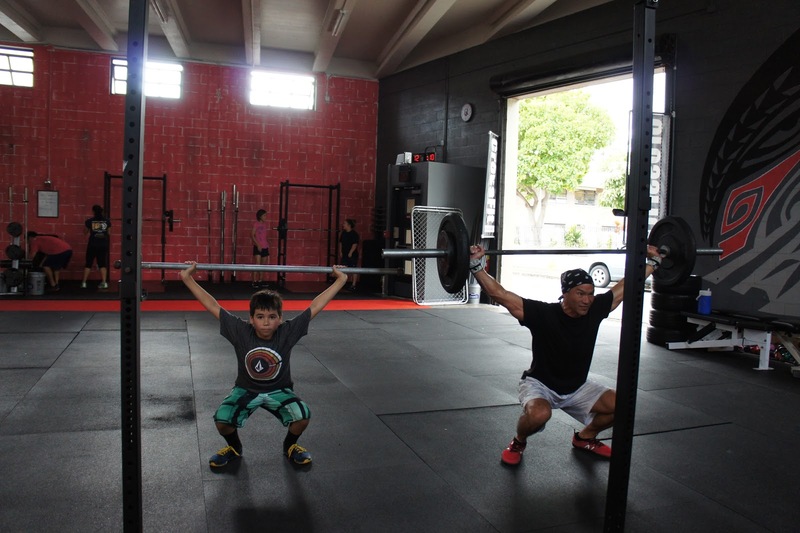 Just like the adult (ages 13 and up) CrossFit classes incorporate randomized functional movements executed at a high intensity, Keiki CrossFit will also follow that regime. 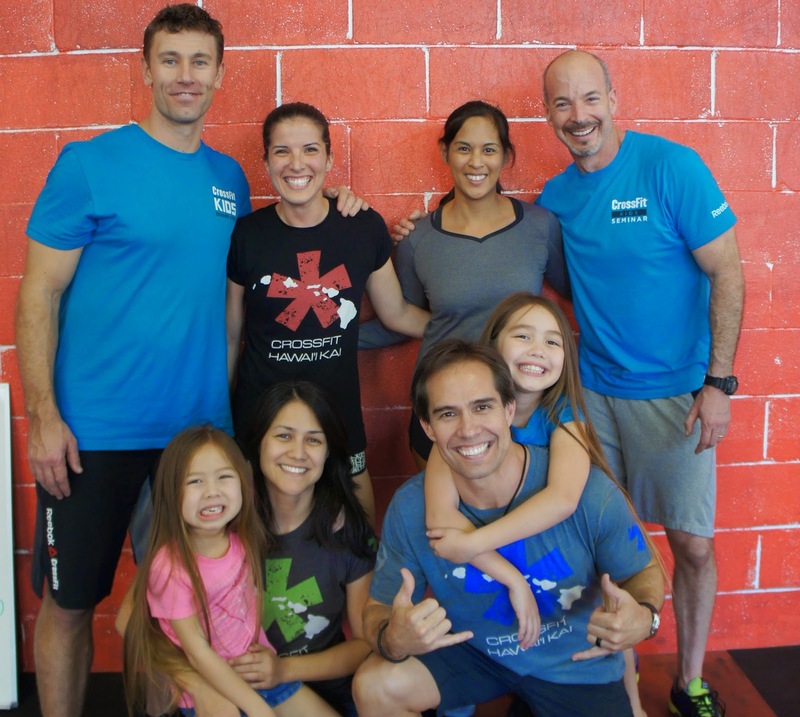 Keiki CrossFit is CrossFit geared and designed for keikis and their specific developmental needs–nuerological, cognitive, and motor funtions. 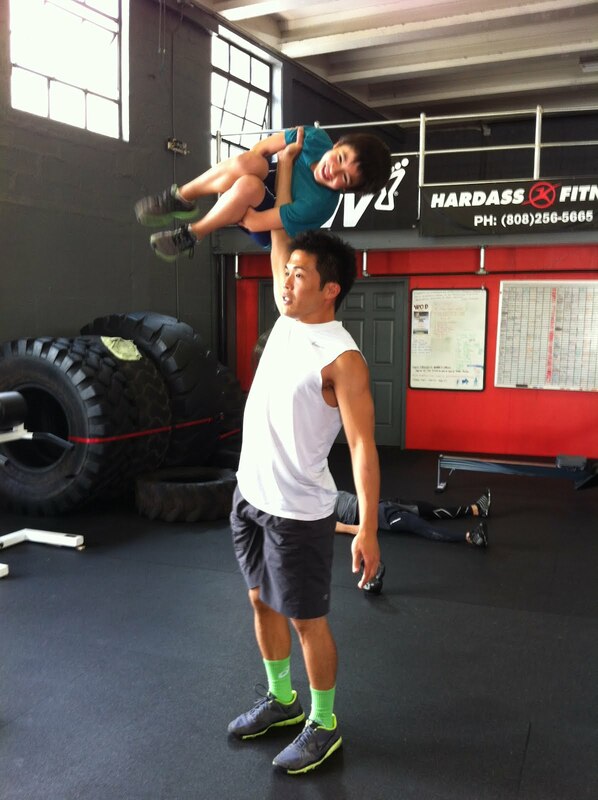 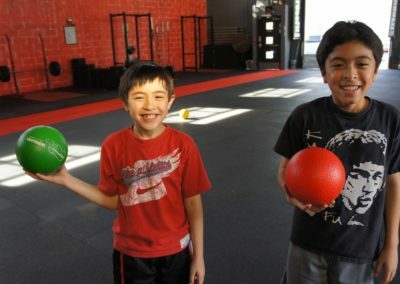 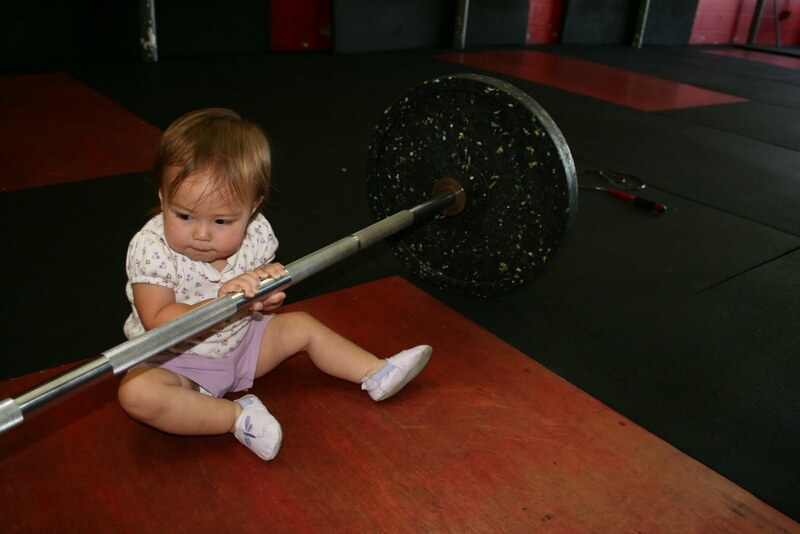 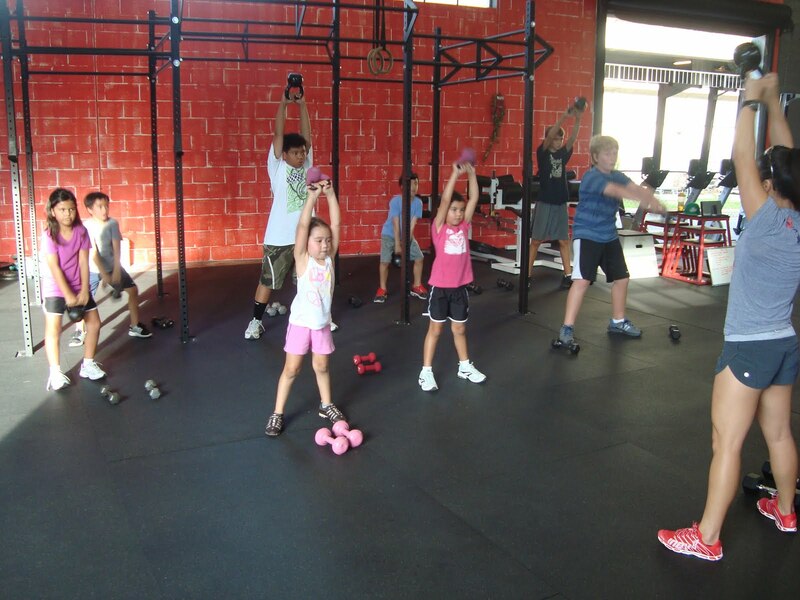 Keiki CrossFit is for any child who wants to grow up strong and healthy! 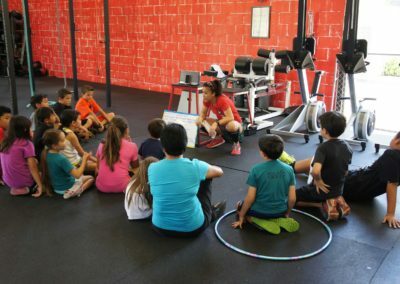 It instills a love for working out, while teaching the importance of exercise, which in the long run will help children avoid problems associated with “couch-potato-ness”, better known as childhood inactivity and obesity. 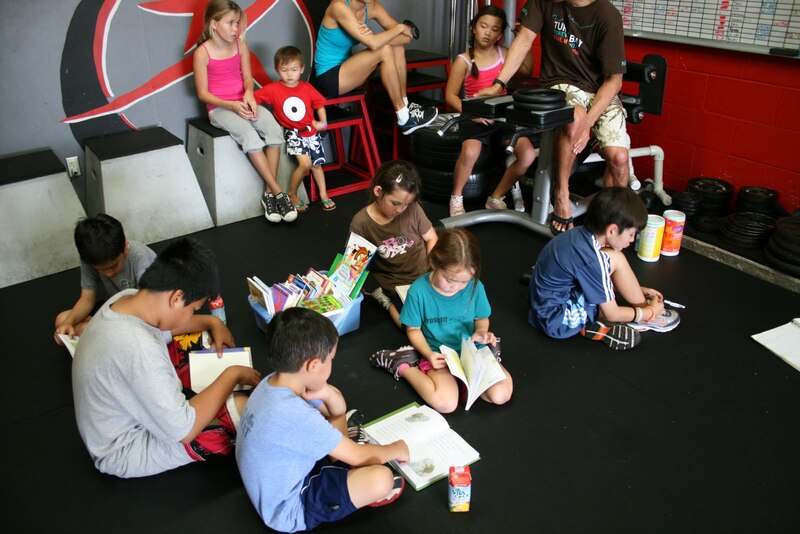 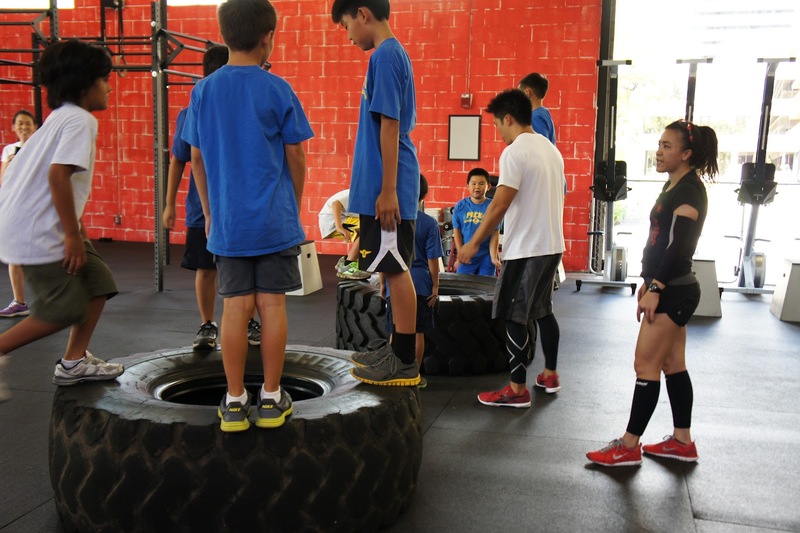 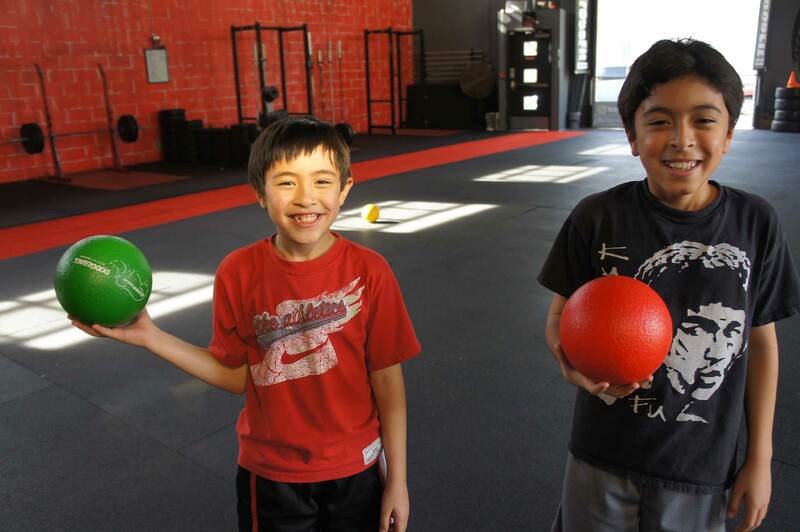 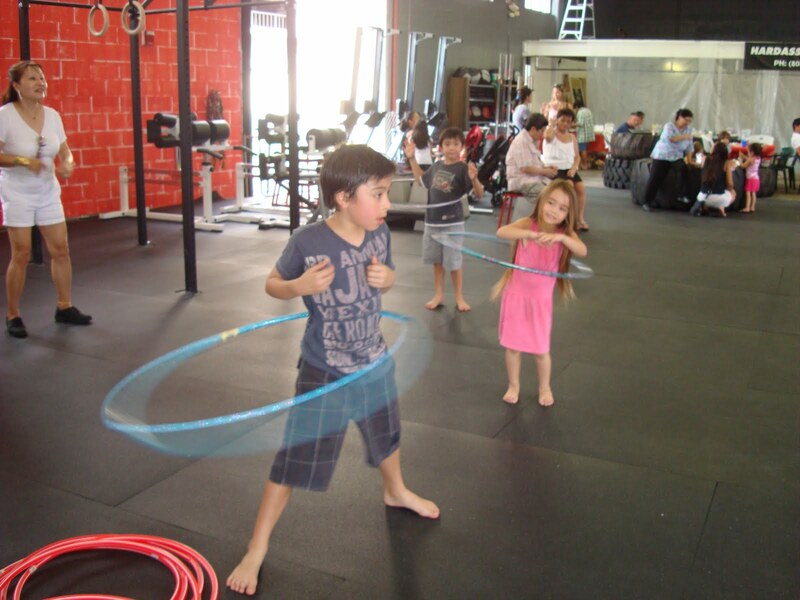 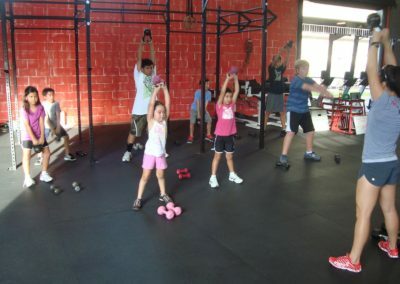 Our keiki workouts follow the CROSSFIT KIDS structure as provided in the training courses. 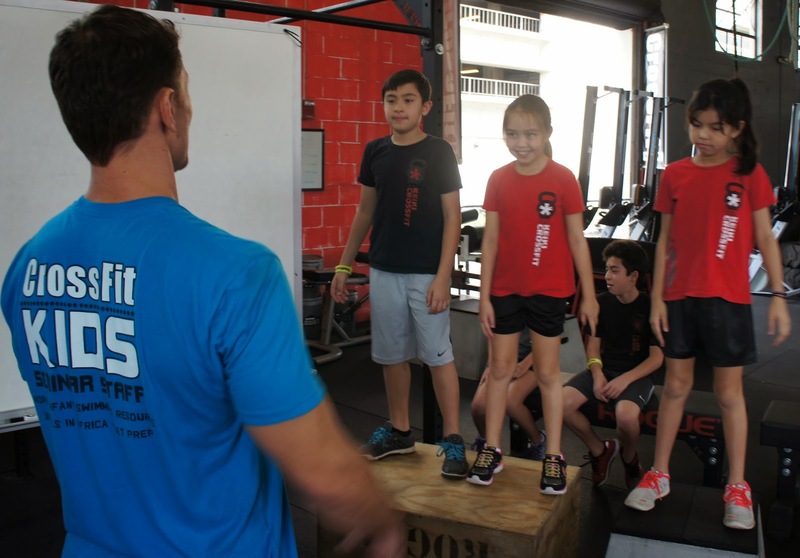 Our coaches who run the CrossFit kids training have been certified in CrossFit instruction specifically designed for children and adolescents. 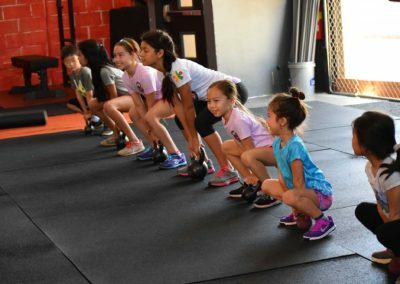 Each keiki class begins with a buy-in or warm-up session that focuses on the basic fundamentals of a specific CrossFit skill. 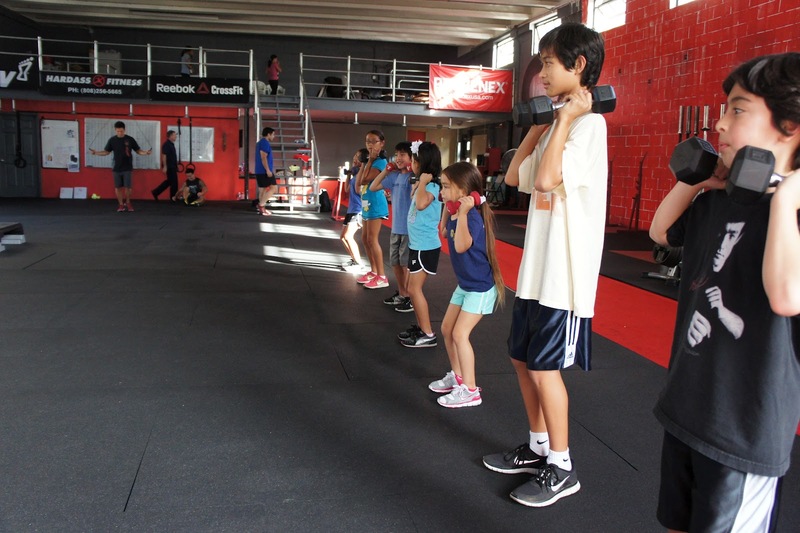 Next, we focus on a Workout Of the Day or WOD which usually consists of 4-5 exercises. 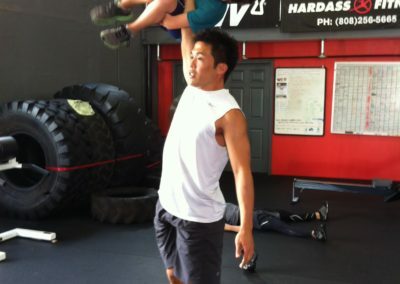 Finally, the cool down usually imvolves a fun activity to slow down the pace and reinforce the fun in CrossFit. 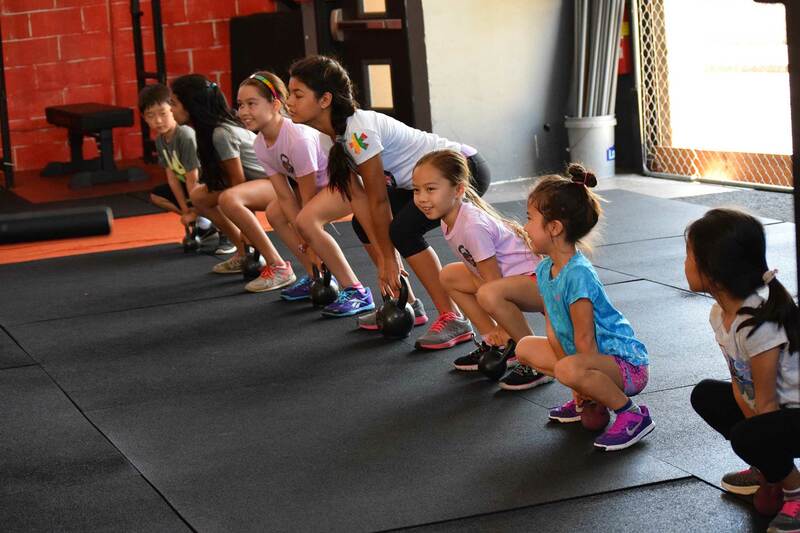 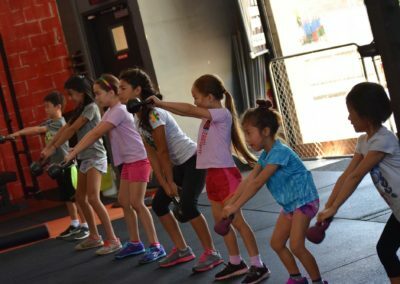 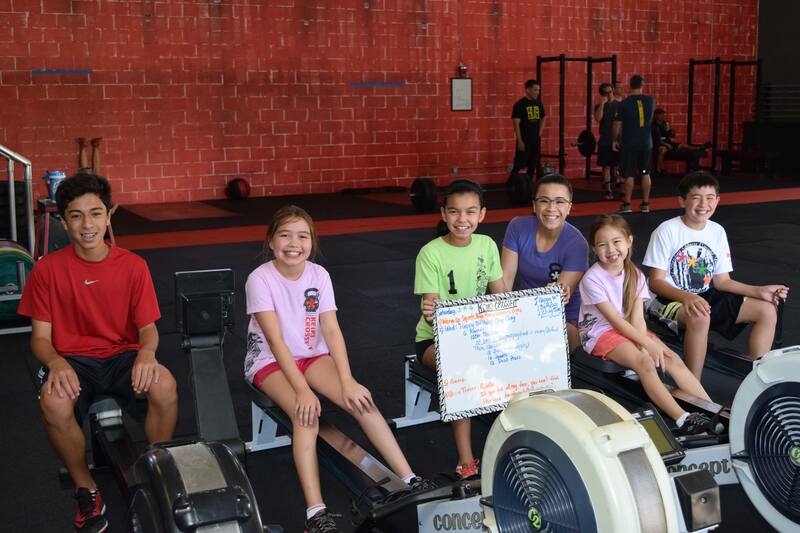 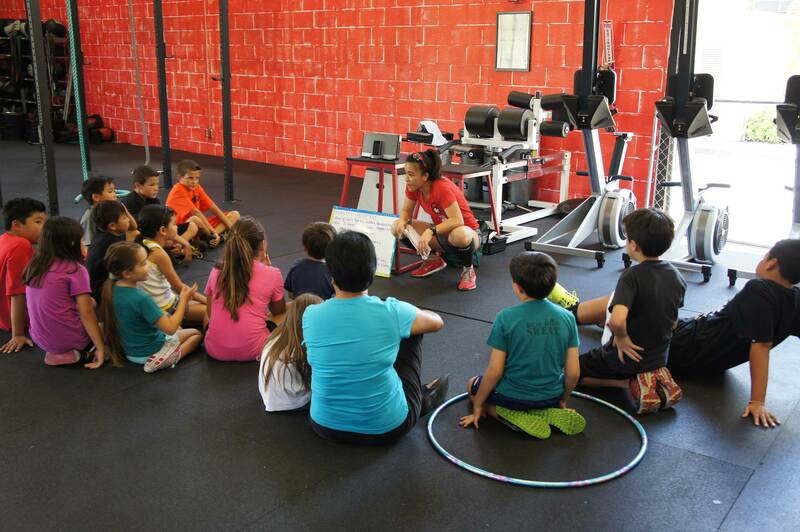 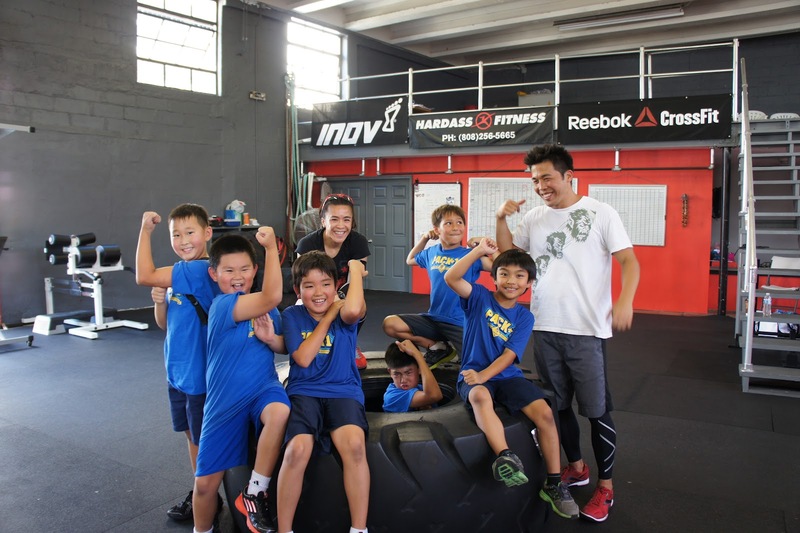 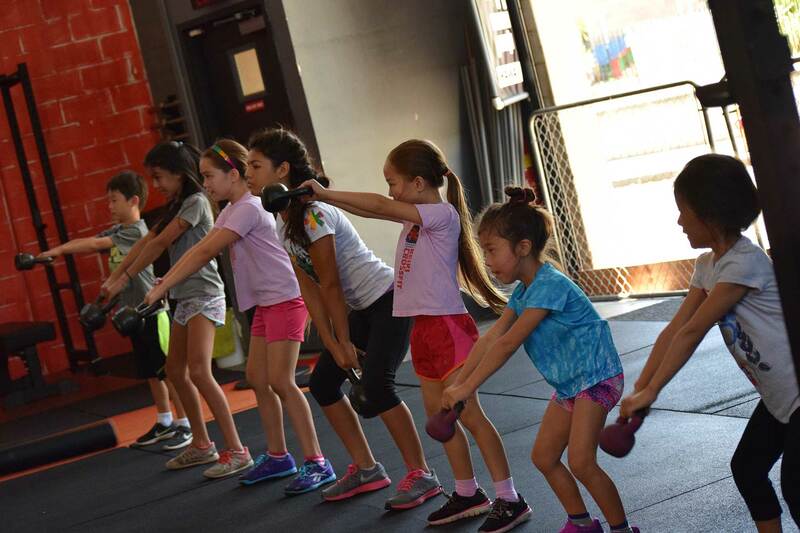 Through our CrossFit Keiki courses, we hope to be able to instill in our young members a love of healthy living and a lifetime of staying active by pairing fitness with fun! 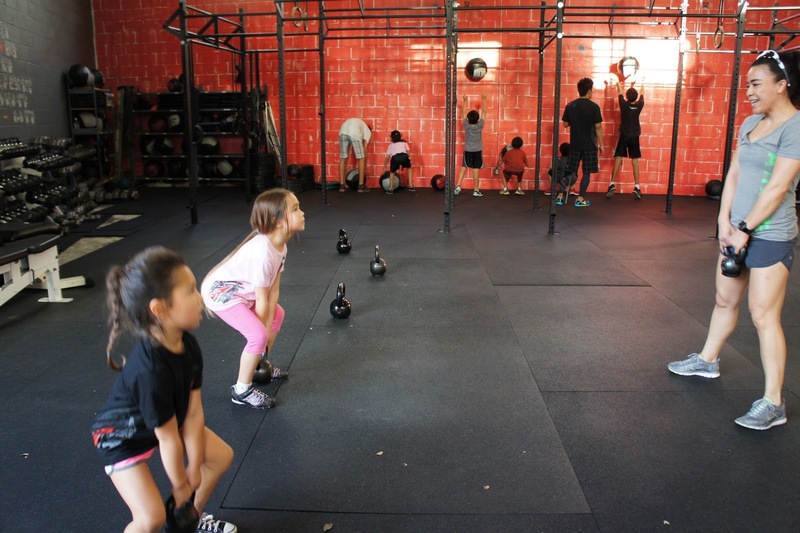 Click below to find out how to get signed up for our Basic Fundamentals Class!